The highlight of 2017 was the successful young people’s campaign #protectyouthservices where young people from all over the City came together to save the services that meant so much to them. Young people from HK were extremely active in the campaign which has given them a huge confidence that they matter and their voices made a difference. We were delighted to attract funding to totally update the Hakit IT suite with brand new computers, software and inclusive equipment. This Big Lottery support to St Richards has had a huge impact on local learners and our ability to support people through Employment and Moneyworks programmes. In partnership with the 50 plus group and Brighton Table Tennis club, social ping has started at Hangleton Community Centre. This hugely popular group now has around 25 older people playing every week. We have been very fortunate to attract the attention of many small grants and trusts in this period, with special thanks to Sussex Community Foundation, Police and Crime Commissioner, Dementia Action Alliance, Homity, Waitrose, Noel Bennett, Blessed Virgin Mary and numerous others for supporting our work with a special mention to the Rotary who gavce us a grant for the first time towards a Christmas party for young people in the Knoll where 35 young people came together and cooked a meal. In 2016 HKP worked with other local partners the WEA, Whitehawk Inn, the Bridge and Communityworks to develop a partnership to address City employment issues. We were successful in bidding to Europe for funding. This project specifically targets our residents aged 50 plus, those with mental health issues and our BME population to give tailored one to one support. During this period we were part of a City partnership to support Brighton and Hove residents experiencing food and fuel poverty led by the Citizens Advice Bureau. In 2016 HKP administered a massive 55 grants to local residents with a value of over £11,000. HKP was recognised for our exceptional impact in the local community from the High Sheriff marked by a lovely ceremony in Ditchling and a very welcome cash award. Our vice Chair Raminder Gill won a Sector star from Communityworks for her outstanding contribution as a volunteer and a member of our youth manifesto group Kayleigh Rose won a trip up the i360 as a prize for her contribution to youth participation work in the City. 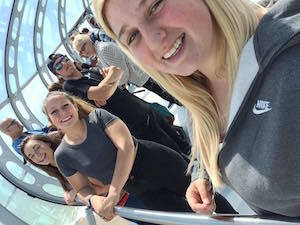 HKP have been working this year with Brighton Youth Centre and with BHCC Youth Council to bring young people from all parts of the City from diverse backgrounds and communities together, to support them to develop a youth voice and shared understanding of their priorities. This is the first time such a group has existed. Long serving HKP Chair Pat Weller is awarded an MBE for her services to the Community and Volunteering in the Queen’s Birthday Honours. Mayor Brian Fitch holds a special celebration tea in the Mayor’s Parlour to honour HKP’s outstanding contribution to the City. New course developed to support refugees and asylum seekers to achieve their citizenship status. Life in the UK is the first such course in the City and 39 adults complete it. HKP received funding from The Mental Health Innovation Fund to develop intensive group work with young men, meeting a pressing need locally. HKP worked in partnership with local churches St Peter’s and St George’s to develop a weekly Food Bank which launched this year. Children In Need choose HKP Young Women.s group to showcase their impact and reach. Community Development Team and LGBT Switchboard project work wins Best Partnership at Community Works Sector Stars Awards. First neighbourhood Youth LGBTU group set up in Hangleton & Knoll in partnership with Allsorts. HKP Community Learning (HaKIT) successfully bid as part of a city consortium to create Money Works and integrated project to tackle Financial Inclusion. Hangleton & Knoll Project wins .The Big Society Award. award presented at a reception at 10 Downing Street in recognition of our exceptional Community Development work. We also won .Most creative engagement method. at local Sector Stars for our partnership work with Amaze in identifying and supporting local parent carers. First ESOL English Conversation Classes delivered as part of our Community Learning Programme. Hangleton and Knoll Youth Manifesto word press site launched www.hkym.co.uk this site highlights local priorities by young people for young people. In 2012 we won the Big Society award in recognition of our long experience and expertise in community development. Representatives from the Project, including our youth trustee Sophie visited Downing Street and were given the award by the Prime Minister. 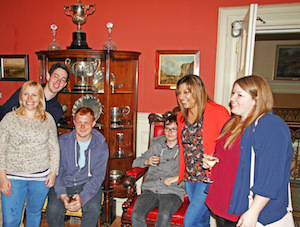 Locally our achievement was recognised by Mayor Bill Randall and a celebration event was held at the Mayors Parlour. The membership of our Multicultural women's group hit 100 in the Summer and had risen to 120 members by year end - undertaking a trip to London with 160 people! In January we were pleased to publish our adult consultation of the area. From this work we started a new partnership with Amaze to support local Parent Carers together. In youth work the Lottery recognised our outstanding youth outcomes with a special Supporting Impact award that came with an additional years funding. In 2012 we brought together the results of all our consultations with the community, Trustees and staff to create and publish a 5 year strategic document. £50,000 fundraised by local young people to pay for an Astroturf court in the local Knoll park. The Youth Forum is one of the three youth projects nationally which worked with Stonewall on an anti bullying tool kit for schools. Young people’s consultation project consulted with 250 young people in the community. 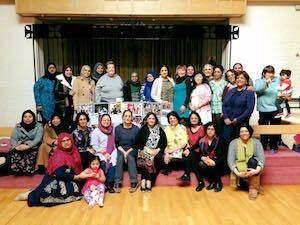 BME (Black and Minority Ethnic) womens' group set up with over 60 BME women regularly meeting and taking part in activities. Recognised model of good practice (BHCC Adult Social Services) for working with older people to deliver community services to the local over 50’s population. This has resulted in 7 older peoples groups and the work is the only one of two funded community projects in the city recognised as excellent. Nicole Monney (née Vann) steps down from the position of CEO; Joanna Marindale appointed into CEO role. Hangleton & Knoll Project is nominated for 'The Queens Award for Voluntary Services' and is through to interview stage. Hangleton & Knoll Project Youth Team receives Award from the High Sheriff of Sussex in recognition of the great work delivered by them in Hangleton & Knoll. The Project beats the competition and is one of only 25 Charities nationally to be awarded Funding of £460,000 to deliver Youth Activities with a focus on Friday and Saturday Evenings. Rapid English Pilot project; Recruited a Senior Community Development worker; BME (Black and Minority Ethnic) participatory research project; Research for Employment & Learning Pilot project; Pavilion Patio built; Knoll park consultation; HaKIT is one of 5 winners of best UK Online Centre; Celebrate 25th year! Hangleton Park improvements including new benches and picnic tables; Youth shelter installed in Knoll Rec; developing a programme of activities for residents aged 50+ based upon consultation findings; 50+ Steering group forms; H&K Employment & Learning pilot; young people’s health initiatives; Portslade Community Project taken over by the Trust for Developing Communities; Neighbourhood Action Plan produced; young people’s homework club set up; Hangleton Park Arts Day; Hove Park School excluded unit established at Hangleton Community Centre; CLAIT (Computer Literacy and Information Technology) certificate ceremony for HaKIT learners; Hangleton Fun for Families community group started; Friends of Knoll Park group formed. Hangleton Park improvements door-knocking consultation; Received 3yr Children in Need funding for a youth participation worker; Received 3yr Big Lottery funding for a Senior Youth Worker with a health remit; Young people’s alcohol peer education project and DVD production; New IT room at Hangleton Community Centre opened by the mayor; Door knocking consultation takes place with residents aged 50+; Knoll Pavilion Café community group started. Nicole Vann appointed as manager of the Hangleton & Knoll Project. “Young people and alcohol” research project with Brighton University; Young people develop a self-harm information and risk reduction leaflet for young people, Community Safety Day held in Hangleton Park; Anti-bullying DVD project with young people; Start working in partnership with Hove Park School; Young people’s football project starts in partnership with B&H Albion FC. Hove Polyclinic Young People’s Sexual Health Drop-in was developed with young people and the Primary Care Trust. Neighbourhood Renewal Funding (NRF) provided resources to develop the young people’s resource room in Hangleton, to decorate the Pavilion Café, build an office at St. Helen’s and further developments to the IT training rooms. HaKIT re-opened at St. Richards Church and Community Centre; “Party in our Park” festival in Hangleton Park; “Opportunities” closed down due to lack of funding; Project offices moved; facilities for pregnancy testing set up; Sexual health leaflet produced with young women; trips with young people increased; Audio Active moved to new premises; video projects developed with young people; Audio Active performing at venues in City; Community Action became a constituted group; Traders Association began; “Portslade on the Map” Conference and Consultation. IT learning access centre set up as one of five pilot projects in the country and equipped with four computers. Over time this initiative evolved into our IT delivery department known as HaKIT; Circus Project Community group set up with support from the Project. 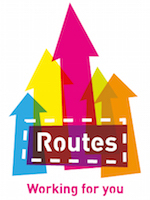 “Opportunities” expanded to Whitehawk and Kemptown areas of Brighton; Improvements made to Knoll Recreation ground; Improvements to Grenadier shopping area; South Portslade office opened; Managed SRB5 scheme; Audio Active Youth Music Project started at Station Road. St. Richards Church & Community Centre extension opened; tree planting, traffic calming and park improvements continued. Hangleton Park improvements took place. Hangleton Community Centre Extension opened. Tree planting and traffic calming projects start. “Opportunities” Employment and Advice Centre opened at the Grenadier shopping parade. Project awarded funding from SRB2 and was the first community based project to receive this funding; number of staff increased; internal infrastructure altered. Public consultation with the community to write the Greening Plan; Grassroots Festival began. 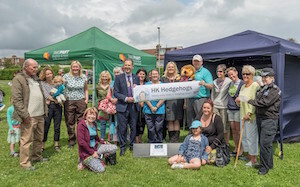 Portslade Community Project was launched with the support of the Hangleton and Knoll Project. Employed the first youth workers after local needs were not being met by any other provision. The detached youth work was funded for three years by Comic Relief. 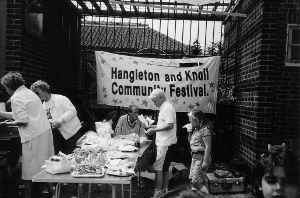 Hangleton Community Project became the Hangleton & Knoll Project. 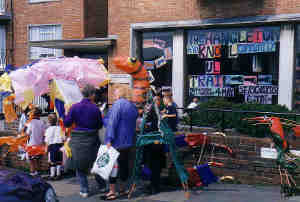 Knoll Community Association was launched and one of the aims of this group was to promote the development of a community centre for the Knoll. Public consultation took place for St. Richards. Knoll based community development workers were employed; local newsletter was launched. 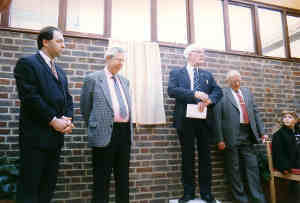 Hangleton based Community Development Workers were employed; Hangleton Community centre opened. 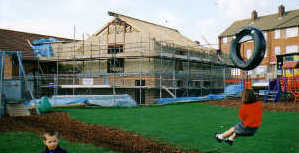 The Hangleton Community Association (HCA) was assisted by the Hangleton Community Project to achieve charitable status. 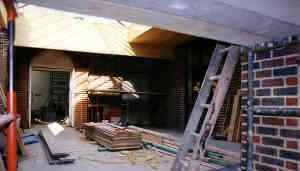 The Project undertook a feasibility study for the development of a community centre for Hangleton. ‘Night of 100 Drums’ event took place which attracted 8,000 people to Hangleton Park. 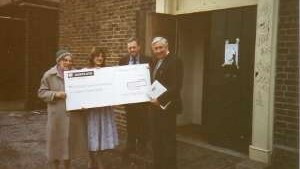 Hangleton Community Project (later renamed Hangleton & Knoll Project) started with the support of PACT (People and Churches Together). 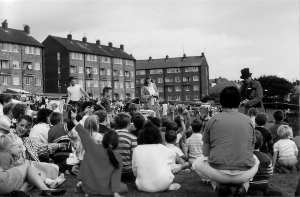 One of the original aims was the development of a community association for Hangleton.